11-16 Scion tC HPS Silicone Radiator Hose Kit 57-1479. Available in Black, Blue or Red. 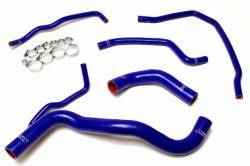 Complete Scion tC2 Radiator Hose Kit in 4-Ply Silicone and able to withstand temperatures up to 350 degrees. All necessary hardware included. HPS High Temp Reinforced Silicone Radiator Hose Kit is designed to replace stock OEM rubber coolant hoses and heater hoses which can eventually weaken over time, leading to premature failure. With premium quality silicone and race inspired design, this HPS silicon radiator coolant hose kit can withstand the harsh high temperature and high pressure operating conditions of the engine yet still maintaining peak efficiency during competition or daily driving. Stay Cool - Old cracked or split heater hoses are not efficiently cooling your engine which can cause it to overheat leaving you stranded. 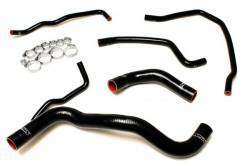 So maintain your Scion cooling system by replacing your old brittle hoses now before it's too late. Perfect for racing or daily driving application. 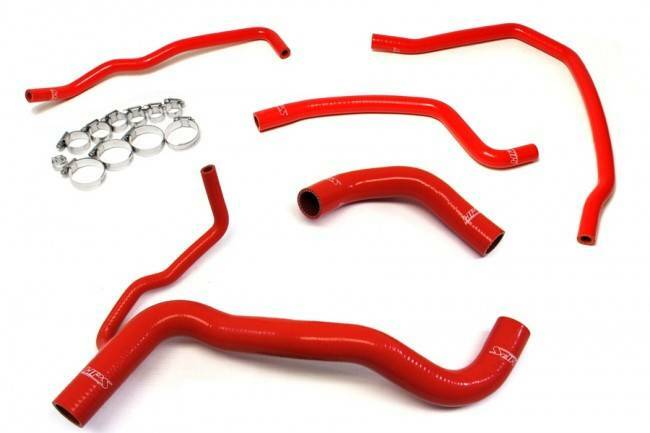 Direct Fit - HPS silicone radiator hose kit has all the correct bends and curves for a perfect fit replacement on your Scion, it is not a cheap one size fits all universal hose you get at the local parts store that you have to fight with to install. Premium Quality - HPS Silicon heater hose kit is made from multi-ply premium grade silicone and reinforced with high-quality polyester for which reduces the risk of component failure and enables higher temperature and pressure to be maintained with complete confidence.